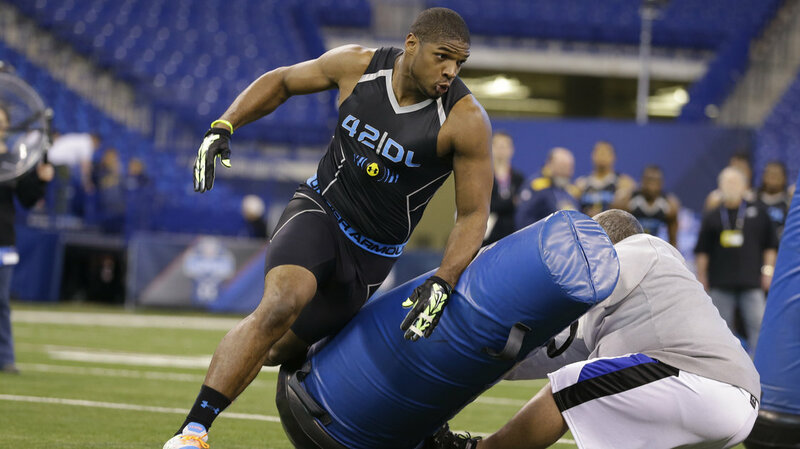 Michael Sam…A Distraction to Whom? Later this month, the National Football League will hold its annual meeting in Orlando to discuss a wide range of subjects, such as rule changes, safety, labor agreements and free agency. 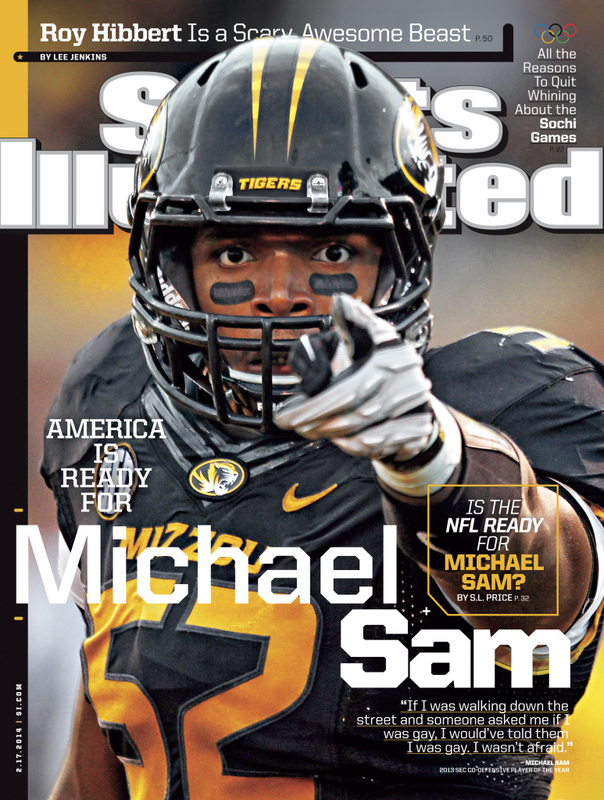 As important as those may be, one issue, in particular, seems to be a distraction for NFL owners: Michael Sam. He was a distraction, they claim, at last month’s NFL Scouting Combine, where critics called his drill performances and athletic times “lackluster.” But plenty of NFL superstars performed below their potential during their combine tests. Drew Brees fell short of expectations, both in height and his throwing accuracy, and I can’t recall anyone calling his performance lackluster. And it’s not just coaching staff. But where are the voices saying, “There goes the NFL!” for the 31 active players arrested during last year’s offseason? What has distracted fans from not being angry over charges of truly dangerous behavior? Child abuse, criminal mischief, having a gun in their airport luggage, drug possession, failure to appear in court, public intoxication, resisting arrest, DUI, third-degree assault, battery, disorderly conduct, solicitation, aggravated assault and attempted murder. Where’s the outrage over the four arrests by active NFL players already this year? Assaulting a police officer, driving while intoxicated, disorderly conduct and public intoxication. What’s distracting Richie Incognito’s nearly 93,000 Twitter followers from being outraged over his racial epithets and homophobic slurs? Who, exactly, is distracting whom from what? At least disenchanted Patriot fans weren’t distracted after Aaron Hernandez was arrested on charges of first-degree murder. Last year they were allowed to exchange Hernandez’s jersey for another player’s replica. That’s a distraction worthy of conversation. Decades ago, Branch Rickey didn’t let distractions get in the way of signing Jackie Robinson to a Major League Baseball contract. Robinson was a great athlete who appeared different from his teammates. Rickey understood there could be no real winning when a majority excludes a minority based on misguided values. Will there be a Branch Rickey at the NFL meeting this month? Sam’s romantic life shouldn’t impede him from proving himself on a football field. It’s a diversionary tactic that should be discarded from all conversation. Regardless of what NFL owners discuss later this month, let’s hope they stop talking about this. Dating is not a worthy distraction. Felonies are. To some, Sam’s lifestyle may seem unsavory. But he’s certainly not a detriment to football. Don’t be fooled by those who claim his combine performance disqualifies him for the NFL, or that his sexual orientation is dangerous. To fall for all that chatter is to buy into yet another unworthy distraction.